I appreciate this may only be targeting a portion of my audience but as a female I feel it’s an area which deserves attention. So, sorry lads but this ones JUST for the girls! Unless you have some strange interest in Womens Hygiene issues?! Many times I’ve seen Instagram pictures of bikini clad women stretched out on white sandy beaches and swimming in crystal waters (don’t worry this will be me soon!). And I’m not jealous, really, but I find myself thinking – bet it wasn’t her ‘time of the month! And I say that with humour but really this is actually a problem for women. Men have it sooo easy! Aside from a river parasite I recently heard about which jumps up your ‘Pee Pee’. You can definitely keep that one! And so with our travels imminent I tried to think back on my backpacking days and how I dealt with hygiene issues. But I actually can’t remember! So, either it really wasn’t that bad or I have tried to push these horrors to the back of my mind! Either way, I needed to address these ‘issues’ once more as I plan the best way to keep myself sane! Yep, this one is definitely number 1 – periods are hell! 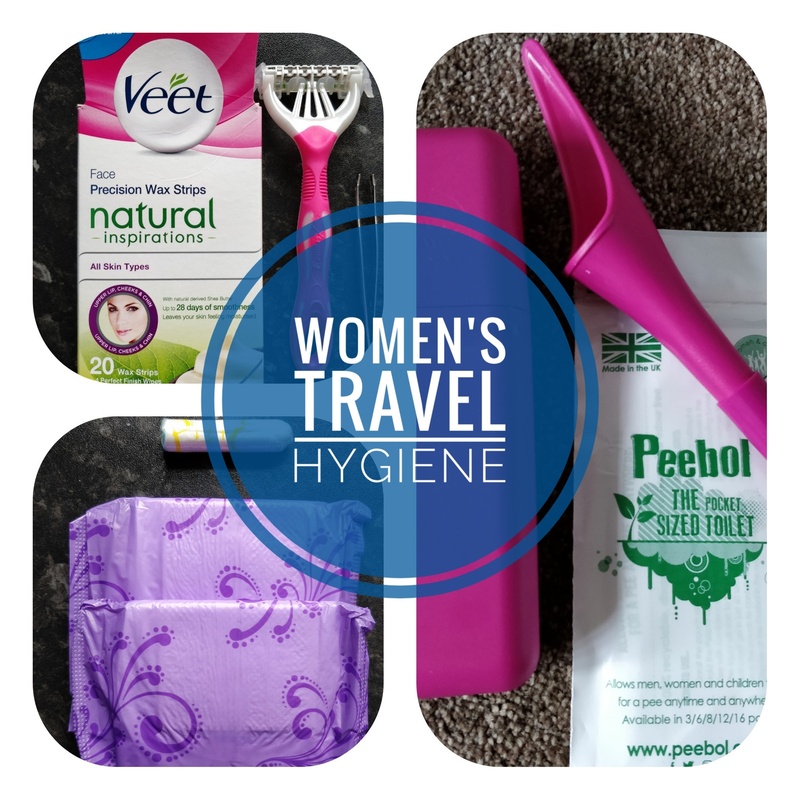 After travelling a variety of countries I know that tampax and sanitary towels tend to be found in pharmacies, rather than in supermarkets like at home. However, to ensure you don’t get caught short, always make sure you have about a month’s supply. Last time I travelled with 4 girls so we could always rely on someone in times of desperation! I like to think of myself as a very organised person with my top quality being the ability to plan. So with 2 years planning this time round I’ve come to the conclusion that it would be easier to stop my periods all together. No, I’m not having a hysterectomy! I’m also not a medical professional and these are just my own experiences so always talk through options with a nurse or doctor. 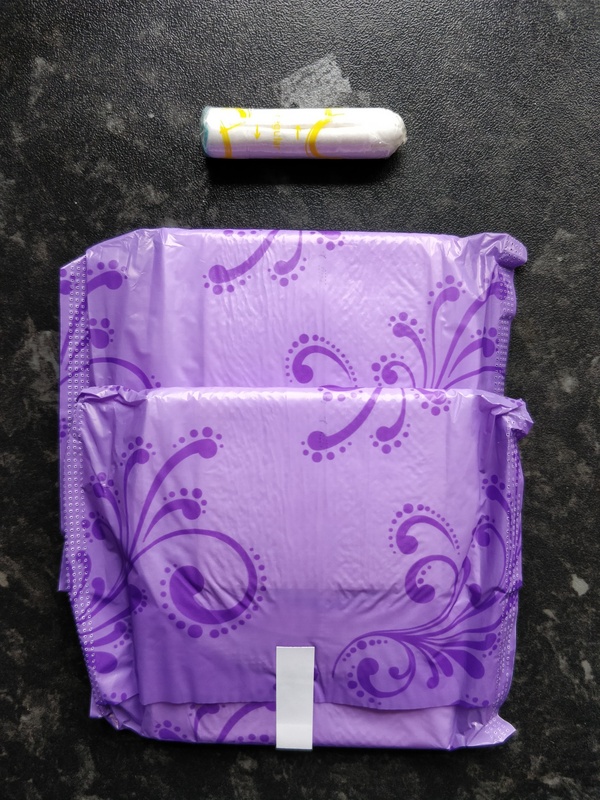 So I opted to try the Mirena Coil to cover both contraception and maybe stop my periods – bonus! It’s not an overly pleasant experience but not as painful (for me) as some of the stories I had read. The nurse suggested that it did need time to settle and that I needed to give at least 6 months. So if things didn’t work out I could have it removed before I left. 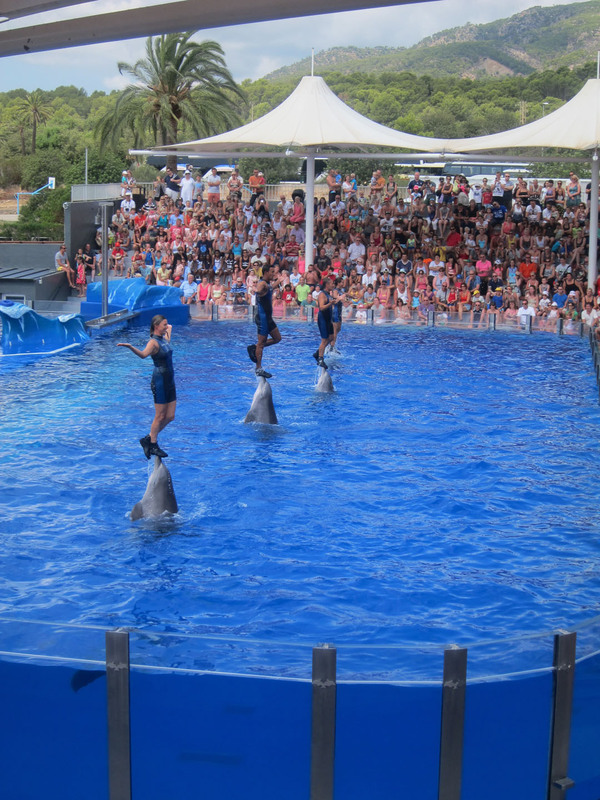 I was impressed, apart from there being some hormone fluctuation, weight gain (that – or I was eating too much?!) and a teenage (spotty) stage, things have been good. I’m happy to report that my periods have also stopped! It has been 7 months (Jan 2018) and I’m soooo glad that I did this. However, a close friend did not have a successful time and had to have it removed due to issues. I’ve also seen lots of articles (but haven’t tried) about a ‘Diva Cup’. Now, hear me out. I stared open mouthed when I first started reading about it. I would definitely have given this a go if I hadn’t got the Mirena Coil fitted. I’m no expert by my shortened interpretation is , it’s a silicone cup which you ‘wear’ during your menstrual period & empty/rinse everyday. The website has FAQ’s, but honestly if you are looking for a solution… this might be it! Visit their website http://divacup.com/. There will be times when we will definitely be off the beaten track, such as trekking in Nepal or walking in Borneo’s rainforests and I really don’t like the idea of squatting for a pee where something could quite easily bite my bum. However, above all this my biggest fear is our ‘camping’ trip in the wilds of Africa. I even read that it was recommended not to leave your tent at night under any circumstances (as if !!!!). So, if you need to go then how does a women pee… into a bottle… in a tent?! For those of you who know me, you’ll be are aware that I have already camped in Africa so what did I do last time?? Nothing! I stupidly thought that they would never leave you in a tent in the middle of the African plains and that there would be a big wall around the campsite and a man with a gun! Nope, none of it, Nada!!! Just a tent… in the middle of the African Savannah. I’m surprised I didn’t pass out with the lack of water I was drinking in the hope I didn’t need the toilet! Yes, I have been dubious about this one, but I’ve given it a go (as it’s recommended you need to practice if you don’t want a wet leg) and it wasn’t too bad. It folds up neatly into a pretty pink box which is easy for transportation. Obviously it will take up a little more room in my daypack; but needs must! I have married this with another great product for travelers of all ages (but especially for those with kids!). 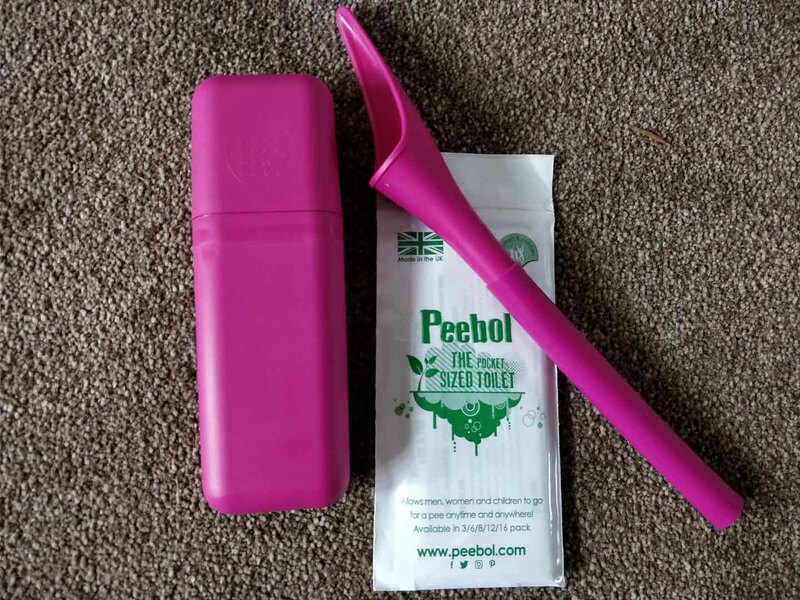 It’s a Peebol, a pocket sized toilet. I haven’t tried it yet (my son, Ethan, tells me we need to before we go though!) and when you wee the crystals turn to gel. Just seal it up and chuck it in the bin. This is a complete revelation and I REALLY hope it works! It’s a must on my list of day pack essentials.. Wet Wipes. Wet Wipes are essential for any parent to prevent our little humans looking like they are homeless with food all over their mouths and clothes. But for me I tend to get hot and sticky during long haul flights or bus/train journeys. These are a great way to help you feel a little more normal. Obviously deodorant would be my first point of call but with the regulations on airlines or accessibility to your toiletry bag isn’t always easy, so these are my second option. Also, there have been many times when we have pulled over during long journeys at service stations with less than favourable toilet conditions. It’s great for giving things a quick clean or to use as a substitute toilet paper when none are available, which can often be the case! I have not been blessed with light coloured hair and if left unattended I would actually look like Robinson Crusoe. I’m not even joking! Hormones have a lot to answer for! Clearly it won’t be practical to pack the amazing Donna @ Heavenly Beauty into my suitcase (although she’d probably want me too!). So therefore there are a FEW essentials! 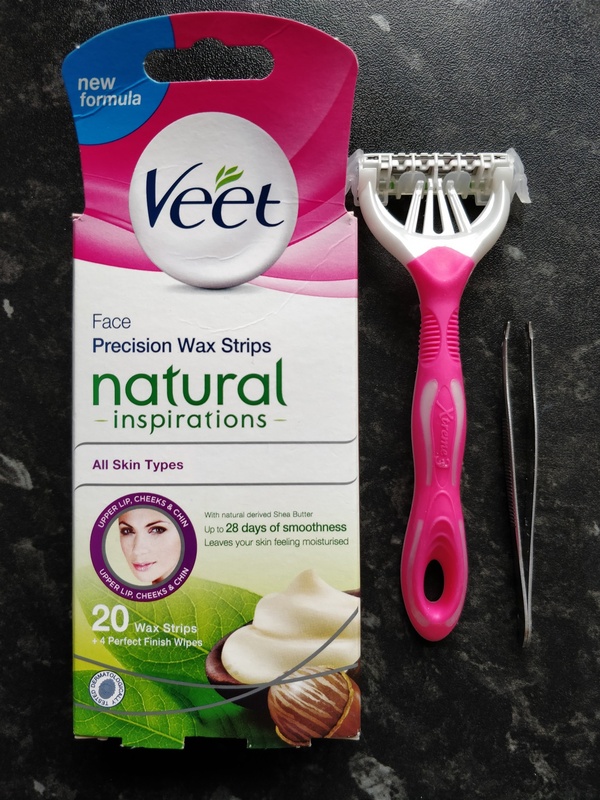 Firstly, tweezers to keep on top of the wiry grey things which keep sprouting above my eyes. I try everything to keep myself youthful, but the grey keeps coming! Firstly, I’m definitely not obsessive about beautifiying myself. I only wear makeup when I go out, I don’t moisturise (I know, I know – wrinkles will come!) and I always tell my hairdresser to just ‘do whatever she wants’. It doesn’t bother me. However, the one thing I have noticed is that I am getting more grey hair (this is the one on top of my head) and it’s making me look disturbingly old! I tried to embrace this, like a few of my friends have, but I’m just not ready. And so, although I won’t be travelling with this in my bag, I can see myself scouring the supermarkets for a Hair Dye so that when we cross paths with these young intrepid adventurers I can just blend in! The other youthful aspect I am suffering with, is the inevitable sagging! No matter what I do, things are still heading south. I have therefore come to the conclusion that there is no stopping it, only delay tactics! And so, as part of my planning I will be spending a few hours on You Tube setting up my ‘Prevent sagging’ collection which I (and all the family) can participate in. This is not a holiday people! #1 – Pack min. 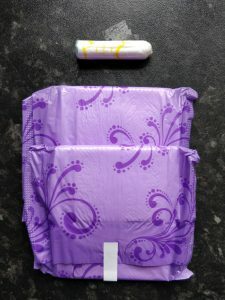 1 months supply of tampax or sanitary towels OR get the Mirena Coil fitted! You (and I) are pretty much ready to take on the world ladies! Go get ’em!!! Next story How much will vaccinations cost for a Worldwide Trip?